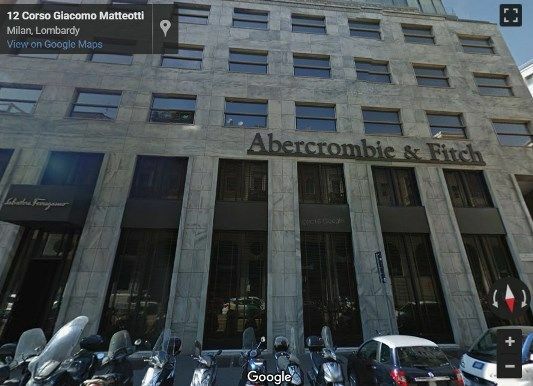 Opened in October 2009, this is one of the most popular flagship stores in Milan, it is the world's first to host Abercrombie kids and A&F together in one shop. Opened in October 2009, this is one of the most popular flagship stores in Milan, it is the world's first to host Abercrombie kids and A&F together in one shop. It is a big department store, with three floors, and occupies just over 30,000 square feet. Right near the heart of Milan's top shopping district, and a walk's distance away from the Via Monte Napoleone and other streets in the fashion quadrilateral.